Great stuff guys. Love the Junior helmet. Where are all of the powder blues at? Still working on getting my 1st powder blue game used. Anyone else have any? If I ever sell it, I will come to the GUU forum first. Nice Flutie you have. Was that a team issued or game used? C'mon I know there is more Chargers Fans in here with some very cool stuff to show! These 2 jerseys combined for 7 TOUCHDOWNS in their final game of use!!! 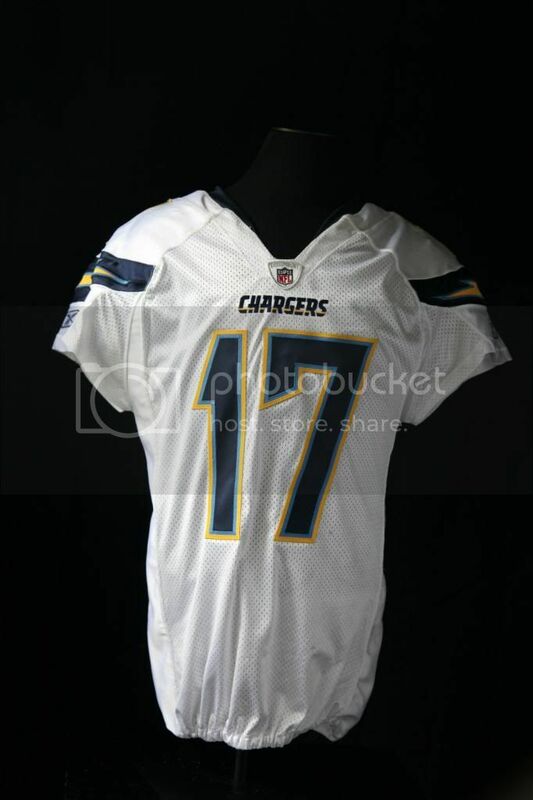 Anyone get any new Game Used Chargers items lately? 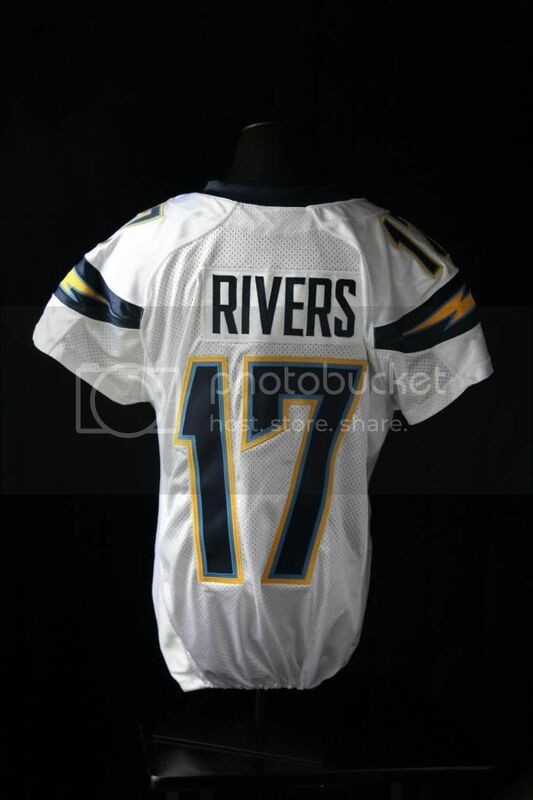 Philip Rivers Game Worn San Diego Chargers Jersey. Photo-Matched to the 11/23/11 game vs. the New York Jets.